With a good recent run in the Premier League for Tottenham Hotspur, it was almost inevitable there would be a hiccup to be dealt with and that unfortunately came in Saturday’s clash with Wolverhampton Wanderers. 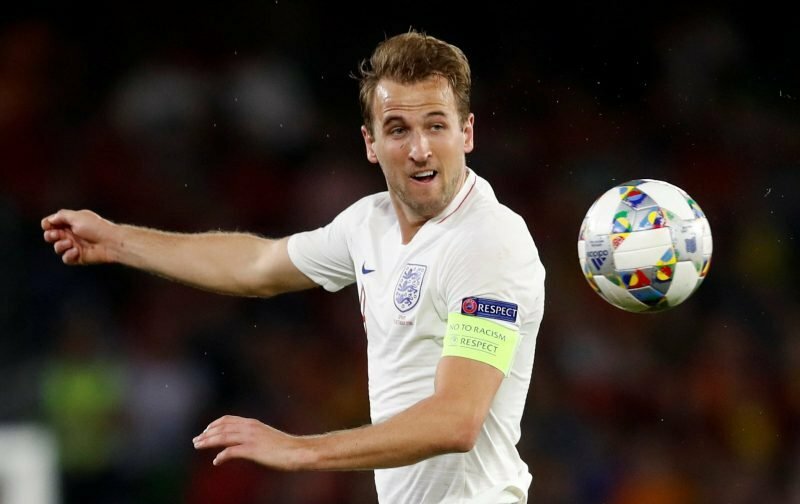 Harry Kane gave us the lead at Wembley Stadium in the 22nd minute but we were unable to build on that advantage and as the game drew on, Wolves improved and we fell off the pace and with three goals in the final 20 minutes of the match, they took a 3-1 victory and all three points to close out 2018. The consensus for many is it was a game too far and that was probably reflected in the matchday ratings from statistics website Whoscored. 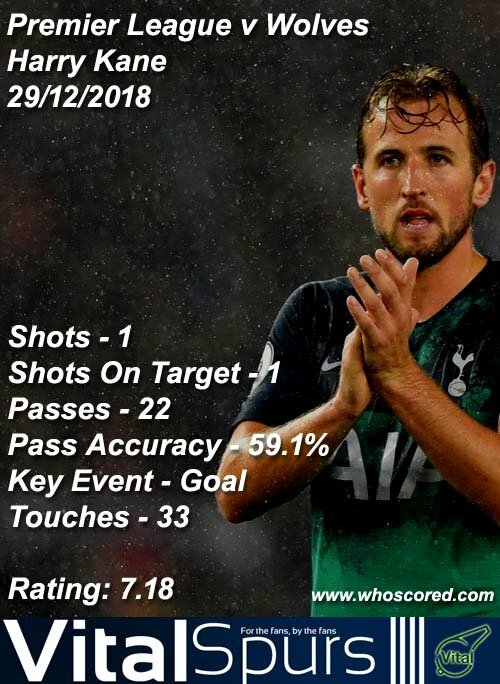 Harry Kane took their Man of the Match with a rating of 7.18 but he was the only player for Spurs to get a seven-plus rating. The top five better performers on the day were completed by Dele Alli (6.78), Toby Alderweireld (6.59), Son Heung-Min (6.42) and Christian Eriksen (6.41). Not the way anyone wanted to close out the year, but again it’s now about how we react to that disappointment.